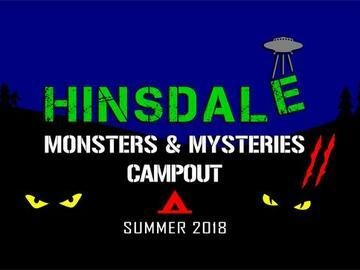 Join Para Expeditions and special guests Brian and Terrie Seech, Jami and Jenny King and Leah Dawn Madden for a weekend of high strangeness at the haunted Hinsdale House. We will be exploring several areas of the unexplained including ghost hunting, Bigfooting, UFOs, mysterious campfire tales and more! There will also be books, t shirts, spiritual items, etc for sale during the event. The event starts at 6pm Friday, August 3rd and wraps up at 10am Sunday, August 5th. The Hinsdale House is located at 3830 McMahon Rd, Hinsdale NY. Dinner (hot dogs, hamburgers and sides) along with snacks and soft drinks are included with the event. You are required to supply your own camping gear and supplies. A restroom or porta potty will be available and water/electricity is limited to inside the house only. Saturday will be mostly at your leisure until the event starts again at 6pm. We are working on adding some daytime activities so stay tuned. Tickets for this event are limited. Due to the set amount of tickets for this event they are non refundable/non reschedulable.